Most people realize the importance of establishing and sticking to a household budget. This is the best way to make sure that household expenditures don’t exceed income during the month, forcing families and individuals to have to borrow money or use credit cards in order to make ends meet. The same principles apply to managing business finances. It’s critical that executives work together with other key members of the management team to create a business budget that defines the company’s basic financial structure and how cash will be managed to work within this structure. Business budgeting helps reduce the uncertainty that often accompanies expense and cash flow forecasting, providing executives with a fiscal framework for all of the company’s financial decisions. Ideally, the business budget should be created on an annual basis for the upcoming year, and then reviewed periodically throughout the year to compare actual results with budgeted amounts. The two key components of a budget are income and expenses. Income, of course, will be determined by sales volume, which makes the sales forecast a critical budgeting component. The sales forecast — Start by looking back at your sales from the previous year. Based on economic and market conditions, your product and service mix, and your planned sales and marketing efforts, do you expect sales to be higher or lower in the coming year? By what percentage do you expect sales to rise or fall? And do sales tend to be cyclical or seasonal, or are they spread out fairly evenly over the year? The cash flow forecast — Based on the answers to these questions, the next step is to project your company’s income (or cash flow) for each month of the upcoming year. This is critical, because sales and income are two different things. If your company offers 30-day vendor terms, for example, sales made in March should become income in April. Fixed expenses — Often referred to as overhead, these include things like rent or mortgage, utilities, payroll and other selling, general and administrative (or SG&A) expenses. These should be fairly consistent from one month to the next, regardless of the level of your sales volume. Variable expenses — These expenses will fluctuate from month to month based on your volume of sales. Inventory and raw materials, for example, are a large variable expense for manufacturing companies — the higher the sales volume, the more inventory and raw materials will be required to fill orders. In addition to fixed and variable expenses are one-time capital expenditures (or CAPEX) for fixed assets like machinery and equipment, computers, plant and property, and buildings and warehouses. These expenses should be planned for in a separate CAPEX budget which details anticipated CAPEX needs for the upcoming year and how they will be financed (internally or via a loan or lease). Finally, be sure to factor marketing and advertising expenses into your budget. Ideally, your business will budget a fixed amount of money for marketing and advertising campaigns for the entire year. Depending on how and when this money will actually be spent, you can allocate it as an expense in certain months or just divide the total by 12 and allocate the same expense to each month. With these figures in hand, you can now create your annual business budget. There are many software programs available into which you can plug in the numbers, or you can simply use a common spreadsheet tool like Excel. 1. You can predict when cash shortfalls may occur, enabling you to plan in advance whether you will need to secure financing, tap into a line of credit or make adjustments to your payables schedule. 2. You can plan large expenditures (including CAPEX) more strategically, rather than being caught unprepared when these needs arise. 3. You can reduce interest expense by planning financing needs well in advance. 4. You will have a better handle on your cash flow, which will increase your overall financial control. California business leaders who haven’t taken the time to perform basic business budgeting should make this a top priority. A well-planned budget will provide the framework for all of the company’s major financial decisions. Without this framework, such decisions may be plagued by uncertainty and inaccuracy. 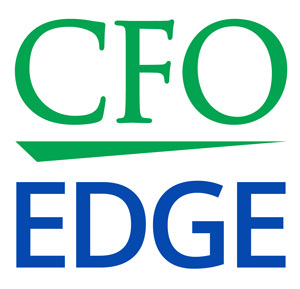 An outsourced CFO services provider can provide invaluable assistance in the business budgeting process by helping you forecast your sales and cash flow and identify all of your expenses: fixed, variable and capital.